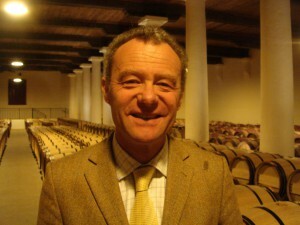 Jancis Robinson reported on her site this morning the very sad news of the untimely loss of Paul Pontallier, 59, the Managing Director of Château Margaux. 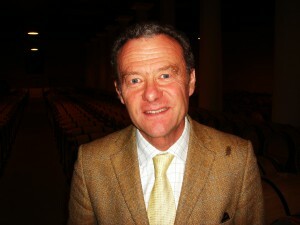 Pontallier had worked at the estate since 1983 and was one of the leading figures in Bordeaux and of the wider world of wine. Erudite, cultured and always impeccably dressed (often in his trademark tweed jackets) Paul Pontallier, was never one to exaggerate the virtues of a vintage during the annual primeurs ‘shindig’. I remember his particularly frank account of the appalling conditions of the 2013 vintage for example and his embarrassment in having to describe 2010 as another great year, hot on the heels of 2009. First class in his analytical skills as well as in his winemaking/growing nouse, he will be sorely missed by everyone in the world of fine wine. “Paul Pontallier seems such an assured presence you just can’t imagine him losing his temper. If something seriously went wrong, say someone racked Pavillon Blanc into a vat containing the Grand Vin at Château Margaux of course, I’m sure he’d go completely bonkers but in twenty-seven or so consecutive vintages at the helm here there can’t be a problem of one sort of another that Pontallier hasn’t encountered either in the vineyard or the cellar, or demonstrably surmounted, given the consistency of the wines at this property over the years. As the longest running winemaker/general director currently at the reigns of any of Bordeaux’s first growths, Pontallier has a level of experience at the top level that is bound to lead you to take everything in your stride. Enthusiasm, nevertheless, seems to be in his nature. Even under the near continuous scrutiny of the BBC documentary Wine: The Faith, which aired a year or so ago in the UK, despite being pursued through the vineyards and chais for a year, Pontallier’s upbeat demeanour didn’t so much as crack once, even during the nerve racking 2008 growing season, a vintage now posthumously seen as something of a success overall. I caught up with Pontallier earlier this month firstly to talk about the 2010 vintage, now safely in vat, and also to discuss the evolution of the 2009s after a year or so in barrel. The first thing I was immediately reminded of is just what a youthful presence Pontallier remains. It’s been ten years since I last met him but even now aged 54 there’s is the inquisitive interest of a wine maker half his age, laced with comparable degree of wonder, not to mention humour. ‘Now our sample bottles are in here’, he began, rummaging in the back of an unlikely looking cupboard in a small lab room at Château Margaux, ‘Honestly’ he added, ‘I know this looks a bit strange, but this is where we’ve put them’. The lengths you have to go to keep bottles of the 2009 hidden eh? Pontallier’s inquisitiveness is not surprising when you remember he has a PhD in oenology, his thesis on the subject of barrel ageing in red wines. Initially he worked in Chile at the University of Santiago as Professor of Oenology before joining Chateau Margaux back in 1983 when the Mentzelopoulos renaissance was well underway. Pontallier’s Chilean sojourn has an interesting parallelism with that other legendary winemaker Paul Draper of Ridge Vineyards in California. Draper began his wine career in Chile, albeit in a more practical and less academic position. Draper, rightly one of the most admired winemakers in the world, is a man who has seen a great many California screaming eagles fly into view, only to pass away again. And I mention Draper in the same breath as Pontallier because, to me, there seems something fixed and immutable about both these figures in the world of wine. Pontallier himself was drawn back to Chile in 1990 with what began as the venture Domaine Paul Bruno in the Maipo Valley established with Bruno Prats, then of Château Cos d’Estournel and Chilean Felipe de Solminihac. The venture still exists, now under the name Vina Aquitania, with a fourth partner Ghislane de Montgolfier joining in 2003. Pontallier told me he is especially happy with the quality of the Pinot Noir they are making there now, a variety that fascinates him.” www.winewordsandvideotape.com November 2010. Paul Pontallier had apparently been fighting cancer for sometime. His early passing, on the eve of primeurs 2015, is indeed a great loss. The only consolation is that Paul’s legacy is left behind for all of us in the three decades worth of beautiful wine that Château Margaux produced under his stewardship.